The government's point man on Sept. 11 health programs said he is worried that an autopsy linking a retired detective's death to recovery work at ground zero may be a warning sign of other life-threatening cases. Dr. John Howard also said it will take time to determine whether there is a scientific link between deaths and exposure to toxic dust. Some epidemiologists have said it will take 20 years or more to prove such a link. Howard, who is to meet in New York this week with congressional leaders about ground zero health issues, was tapped by the Bush administration in February to coordinate the federal response to ongoing Sept. 11 health programs. That role took on greater urgency with the April release of retired Det. James Zadroga's autopsy, which concluded "with a reasonable degree of medical certainty that the cause of death in this case was directly related to the 9/11 incident." 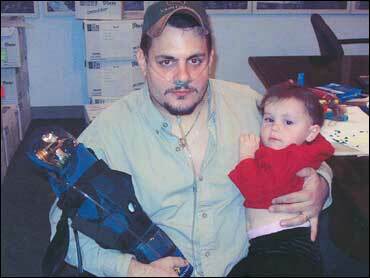 The autopsy said Zadroga died in January of respiratory failure caused by exposure to toxic dust. Zadroga, of Little Egg Harbor, N.J., died in January of respiratory failure and had inflammation in his lung tissue due to "a history of exposure to toxic fumes and dust," wrote Gerard Breton, a pathologist at the Ocean County (New Jersey) medical examiner's office in the autopsy. Howard, whose day job is overseeing the National Institute of Occupational Safety and Health, told The Associated Press in a recent interview the autopsy was "worrisome, and we need to look further in this case." Doctors and government officials worry Zadroga's death may be a so-called sentinel case, an early harbinger of future deaths from such exposure. "You have a particular case with characteristics that are unusual," Howard said. He cited Zadroga's relatively young age, 34, and diseased heart muscle. "Just based on that, you would say, gee, is this a sentinel case?" he said. "This may be a warning and requires attention and vigilance." Howard said his primary goal is to find out how many ground zero workers are suffering ill effects. "The first issue is treatment. That is primary," he said. Rep. Vito Fossella, R-N.Y., said he was pleased Howard is aggressively examining cases like the Zadroga death. "Clearly and sadly, Detective Zadroga and perhaps others will be the first of a wave of those who become the secondary victims of 9/11, though they didn't go down with the towers," Fossella said.